You work hard. And smart. And your car should do the same. 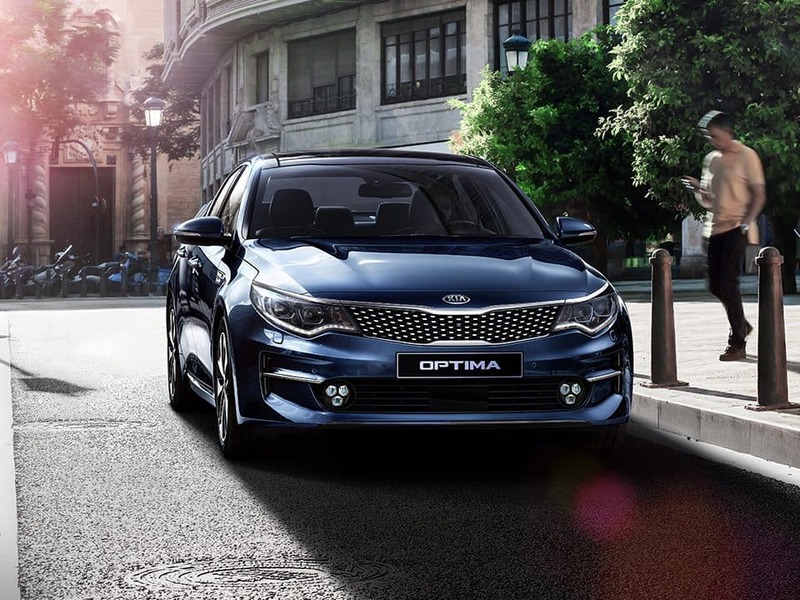 As well as being full of bright ideas, assistive technologies and clever ways to stay connected, the stylish all-new Kia Optima delivers advanced safety and comfort technologies for perfectly stress-free driving. In essence, it is designed to help you make the most of every opportunity on your journey to success. 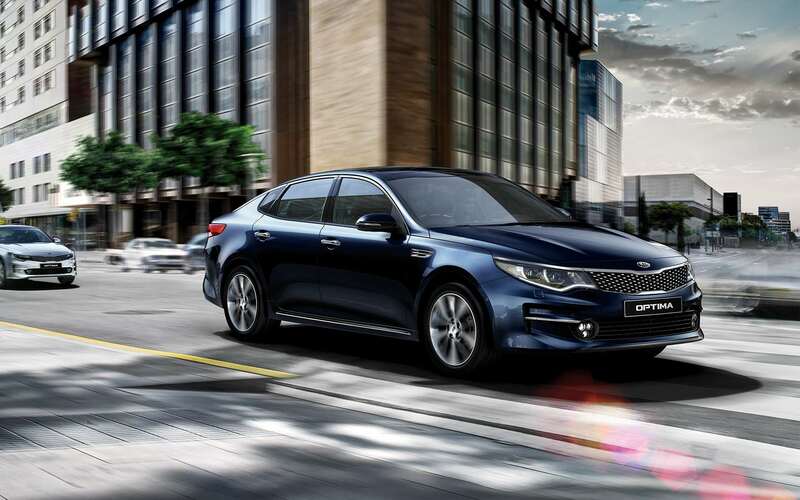 The all-new Kia Optima is writing the next chapter in a visionary design story. Our talented European designers struck just the right balance of intrinsic style, visual innovation and functional enhancements. The result: A sedan that'll drive you to the next level. 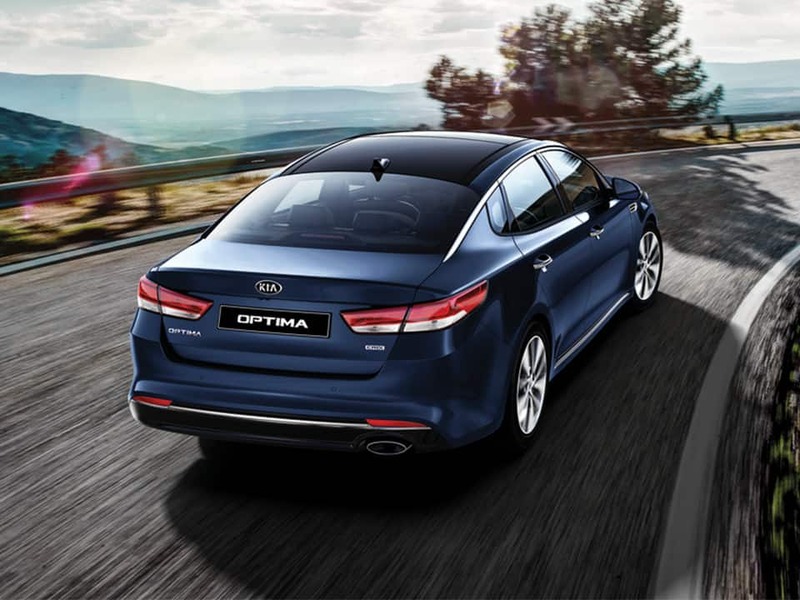 Charismatic and with muscular contours, the all-new Kia Optima draws glances wherever it goes. At a standstill, it flaunts its unmistakable 'tiger nose' grille, sharp body lines and elongated silhouette. On the road, its alluring appearance really comes to life – letting you go the distance. Exceptional design goes far beneath the surface. 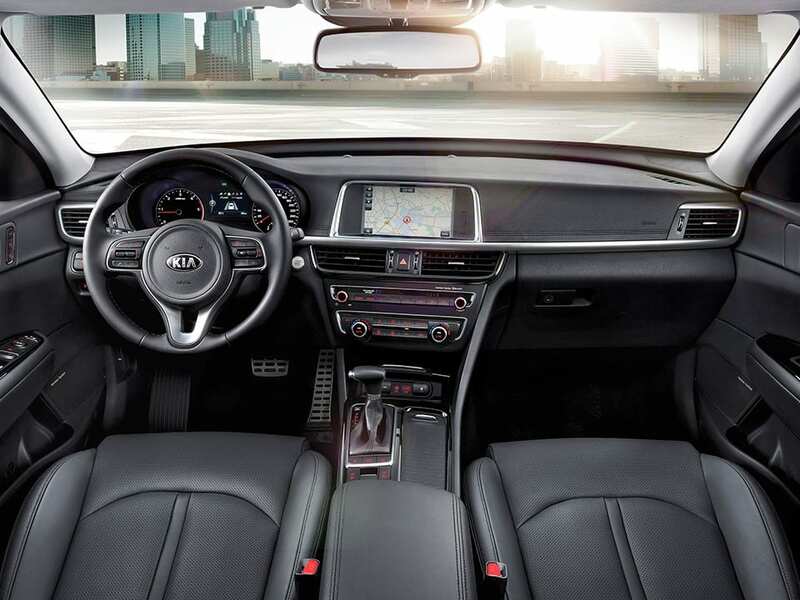 So it's no surprise that the interior of the all-new Kia Optima is just as stunning as its exterior. Modern, spacious, high-quality – these are just some of the words that'll come to mind while zipping around town in your on-the-go life. 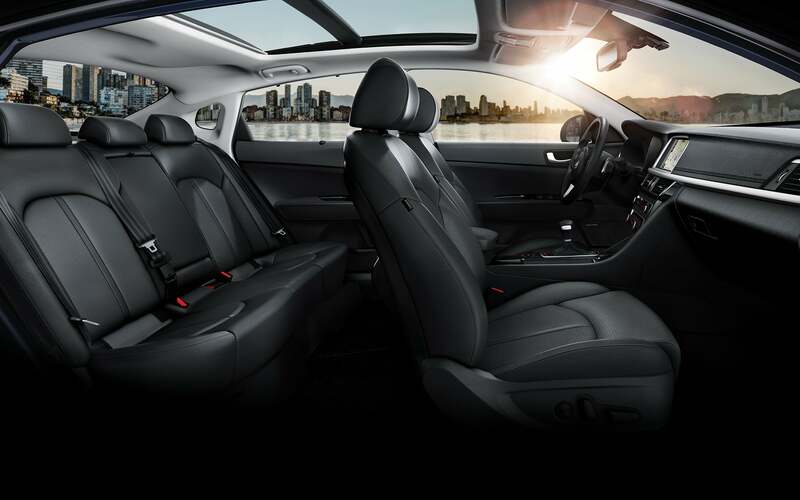 Inside the spacious cabin, an inviting yet upscale space awaits you. High-quality materials include seats upholstered in top grade leather. Attention to detail is revealed in everything from the carefully chosen soft-touch materials to the natural colour palette and tasteful accents. It's quality you can actually feel. Total immersion: the driver-oriented cockpit makes it easy to keep your eyes on the road. A quick glance at the enhanced dashboard, including the customisable supervision cluster, delivers all the information you need. Heading to an important meeting? 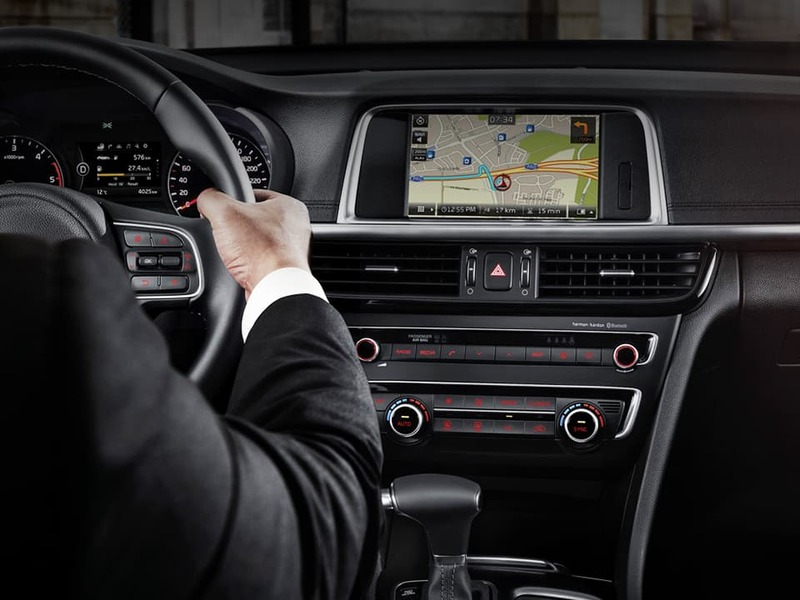 Simply enter the destination and let the navigation system guide you. It's fitted as standard. 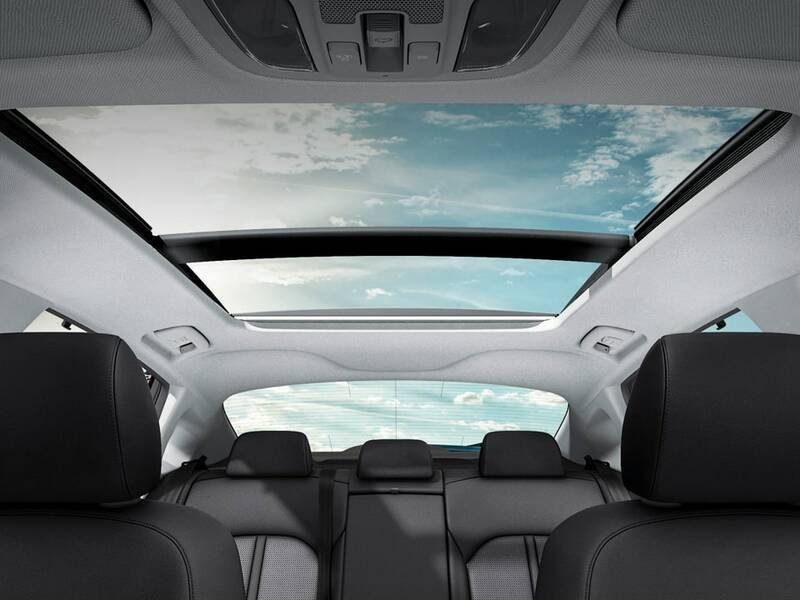 Fitted with the optional panoramic sunroof depending on your chosen specification, the all-new Kia Optima lets you enjoy a breezy open-air feeling. In fact, you might even forget it's a workday. When you've had enough sun, simply close the shade with a click. A comprehensive package of safety features in the all-new Kia Optima helps protect you and your passengers in the event of a collision. 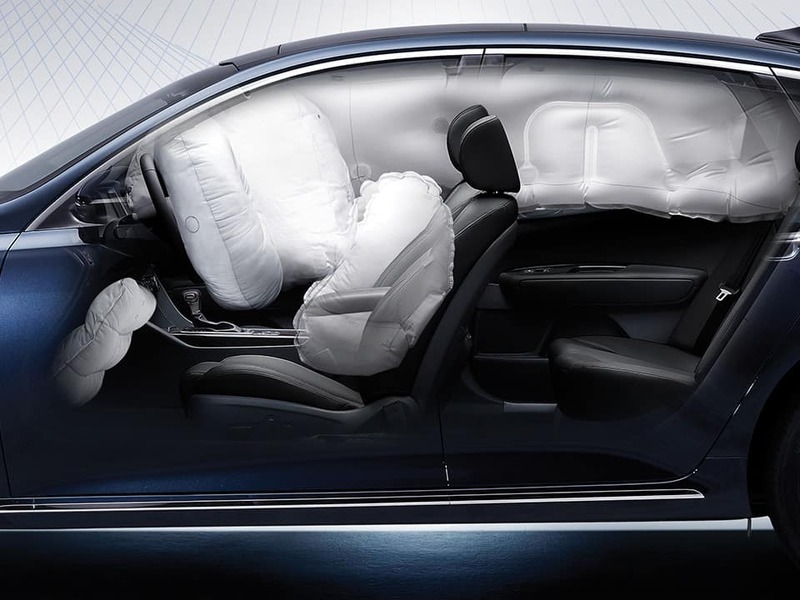 It comes with driver, front passenger, two front-side, and two side-curtain airbags, as well as a driver's knee airbag. Also, the vehicle's reinforced bodyshell is lighter, stronger and safer than ever.